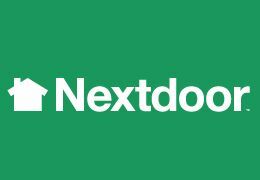 Nextdoor.com: the Next Big Thing? At this point, we know that you’re all using Facebook to promote your business, but have you thought about getting on Nextdoor.com? For those who don’t know, Nextdoor is a private social media network that allows you to get more involved in your neighborhood and generate business as a result. Nextdoor’s rules about promoting your business on their site are strict. But, are savvy agents generating business using Nextdoor? You bet! And zavvie can help! “I inadvertently ended up on Nextdoor only thanks to zavvie and on a Sunday late afternoon someone posted that they wanted a recommendation for a good Realtor to list a $450,000 home. I was the 3rd of over 70 respondents – mostly neighbors slobbering over how much they loved their agent. Monday morning I put a listing packet in the mail and Tuesday I mailed another envelope with a brief CMA and a short personal note. Right now, zavvie has 25 slots open for an immediate start in the Nextdoor Program, which is free for zavvie pros. We will get others set in the weeks ahead, as quickly as possible. If you want to enroll in the Nextdoor Program, email our Project Specialist at support@zavvie.com.